Yay, new book blog at last! British Myths and Legends vol. 2: Heroes and Saints. " British Myths and Legends vol 3. History and Romance. " Last year I acquired 47 new books and read 14 of them. Since they have now all been moved to the 'on my shelf' list, I really need to start clearing those shelves and not getting more books! I'll be continuing my Discworld re-read (where not all of the books are re-reads but I can't actually remember which ones I haven't read...) this year. I only read four last year so quite a long way to go still! A spare one, just in case. Ok, my 2019 book blog is open! I wish you a very happy reading year in 2019 ! 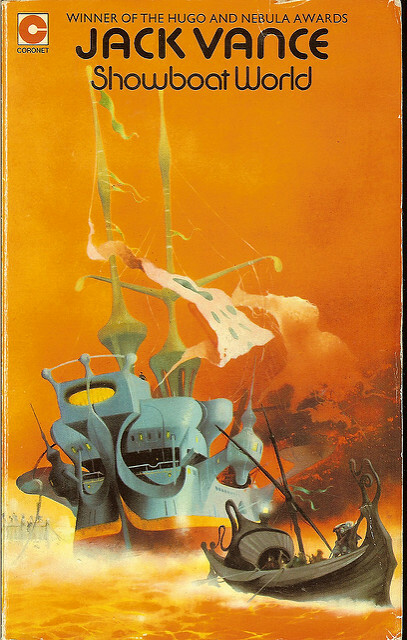 The War of the Worlds by H. G. Wells (excellent read, I also read The Time Machine but wasn't as impressed by it as I was with The War of the Worlds). And Discworld 1 - 22 (I attempted to read #23 but I DNFed/abandoned it about halfway through). I hope you'll read many amazing books this year ! Thank you @Athena ! I've had the Douglas Adams books on my shelf for a while and, although I was really excited to get them, I want to love them so much that I'm reluctant to read them in case I don't! I'm reading Ben Aaronovitch's Lies Sleeping at the moment and it's as brilliant as I expected. I now have that problem where I really want to read it but also don't want it to end! That makes sense! I mean, I've had that happen too. A book has been hyped up, you're excited, but you're also worried it won't live up to the awesomeness you think the book will be. I hope you enjoy the books when you read them eventually . Also a recognisable situation. Sometimes I decide to 'savour' the book and read it more slowly, and sometimes I decide to just read it at a normal pace. I have read the Douglas Adams 'Trilogy In 5 Parts'! (possibly my favourite sub title of all time to a series!) and loved them, although they may have dated a little in one or two places by now. The humour, daftness and quirk are all solid so they should make for an enjoyable read. A Discworld series re-read - that sounds like a holiday in luxury to me! I found your reading order interesting - do you read through the series based on when they were published? And if so, is it easy to move from one character to the next? I guess each book can be read on its own, but I've always read them as a sub-series of novels based on characters e.g. the Death Novels, The Witches, The Watch etc. Anyway, very comprehensive reading list there - I wish you a joyful reading year! When I first started reading them I didn't go in any order at all, I just read whichever one I got my hands on next. Last year I realised that I couldn't really remember which ones I hadn't read (I have been reading them since I was about 13, so that was quite a long time ago!) and I thought it would be interesting to read them in the order they were published, partly to make sure I'd read all of them and partly to see whether I noticed any more connections between the books doing it that way. It is actually really easy to move between the characters from book to book. So far the most interesting thing I've noticed, reading them in publication order, is how you can see the personalities of the characters developing. For example, the Granny Weatherwax of Equal Rites feels very different to the Granny Weatherwax of later novels, much less sure of herself. You can also really see Discworld growing into all the distinctive regions that become familiar later on. And thank you, I hope you have a great reading year too! The subtitle does give me great hope for the humour in the actual books! I just really love this series. It's exciting to discover the magic, rules and various creatures as Peter (the main character) does. In this book particularly it's also really interesting to read various true things about the history of London, you can tell that a lot of research went into the plot of this one. Just as in all the previous books there's real tension and emotion but there's also humour and that combination provides an atmosphere that's so easy to get lost in and just read for hours (it's a bit dangerous, really). There are various factors (that I can't really mention because they'd all be spoilers) that make this book a really tantalising precursor to the next. The next one is definitely going to be interesting! 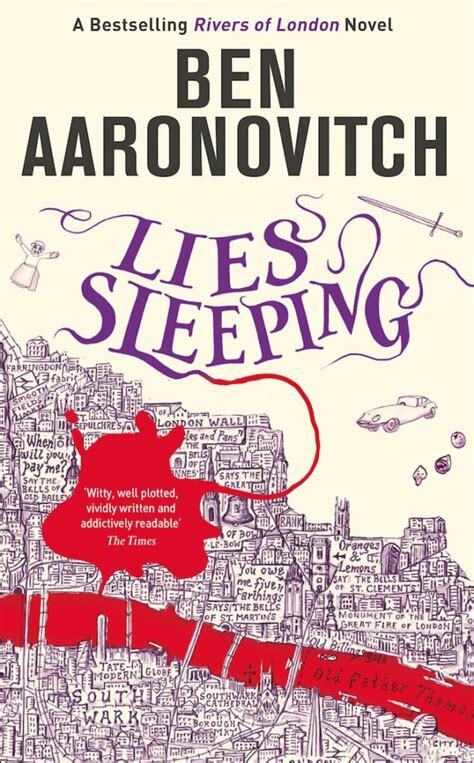 And just a mini one... my edition of Lies Sleeping included the short story Favourite Uncle. For the first page, I wondered what on earth was going on, I just didn't understand it. Then I realised that, although I'd been reading it as though the narrator was Peter (which it usually is) it's actually written from Abigail's point of view! Suddenly it made a lot more sense . It was an interesting little story that gave a small insight into what Abigail gets up to when she's on her own, although I got the impression that the author wasn't quite as comfortable writing in Abigail's voice. I don't know whether it's a hint that Abigail is going to become a more important character in future books but I don't think that would be a bad thing! Vance just has a completely crazy but brilliant imagination. Showboats are vessels that sail the stretches of water across Big Planet (a lawless planet that has basically attracted all the misfits of the universe, who now live variously in guarded cities or tribes) just entertaining people. The showboats are as individual as their owners, preferring certain types of entertainment (drama, magic, comedy, burlesque, practically everything you can think of). The book focuses on the owner of one of these showboats, Apollon Zamp. He's definitely not the most likeable character (practically everyone on Big Planet has a very self centred, cut-throat attitude) but somehow, when everything starts going wrong for him, you have moments where you feel sorry for him anyway. Luckily for Zamp, he's actually quite clever (maybe cunning is a better word) and it's compelling to see how he works his way around the various scrapes he gets into on his way to compete in a Showboat competition with an incredible prize. The one downside to the story, in my opinion, was a side character. It's probably quite telling that I can't remember her name at all. The book's blurb simply describes her as 'a mysterious blonde beauty' and that's basically all she is. When she enters the story she's really intriguing. She obviously has an important secret and is desperate to travel with the Showboats to the competition. After this original intrigue, she just becomes a bit annoying and insipid, just a distraction for the male characters who desperately (and a bit creepily) keep trying to persuade her to marry them. And, in the end, her great secret just falls a bit flat and is no more interesting than any of the other issues Zamp faces throughout the book. It was a disappointment, after building up this secret from nearly the start of the book, and I actually think the book would have been better without this character. Even so, this crazy world of criminals and Showboats is well worth a read, I don't think there can be anything else quite like it! 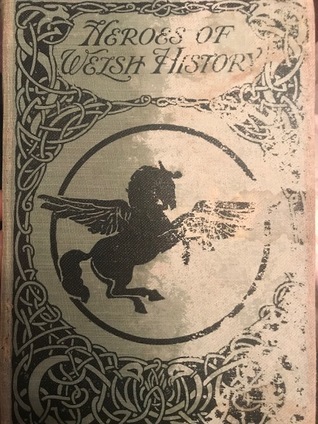 I found this book on a market stall in Hay-on-Wye, I loved the cover and I know there are some great Welsh myths and legends, so I had to get it. It's really not what I expected at all though, which I suppose isn't really the books fault. Essentially it is a book that was printed for school age children to learn about the history of Wales. This edition was printed in June 1928 and the age definitely shows. The heroes are all considered notable for battles, or at least the way they influenced battles (some of which just seemed like they were a bit petty all round and could have been avoided - but they're presented as heroic anyway). There are no women, only as briefly mentioned wives, or Ceridwen, who is mentioned in the only story to feature anything magical or mythological at all, but only because she's necessary to the beginning of the story of Taliesin. I'm not sure how accurate the overall history was either, the sources being a bit sketchy to say the least. There are a lot of heartfelt comments about the spirit of liberty and the final chapter finishes with 'the last hero of Welsh independence.' I found this unusual, but interesting (probably the most interesting thing about the book, actually). There's a definite sense of loss, even though Wales had been part of the UK for a very long time before this book was published, and I wouldn't have expected that from a text book. So, overall, from a historical point of view, it had some interesting features, but it wasn't actually a great book to read and I did struggle through it. I'm only taking 0.5 points away from this book because I loved the first one just a tiny bit more. Being the second book in a trilogy, this one did feel a bit like an in-between, like it was setting up what's to come in the final book (exciting things, by the sound of it!). 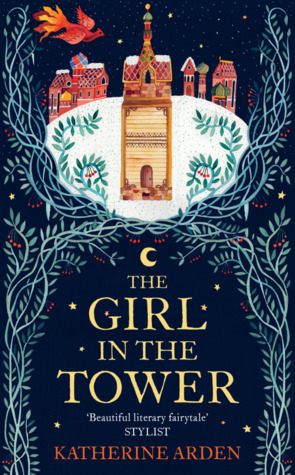 I just love the mix of folklore, magic and medieval Russia in these books. I love discovering new features of folklore and fairytale as they appear in the world, never seeming out of place despite the otherwise realistic settings. Vasya is a great character, with the right balance of fierceness and vulnerability to make her relatable but heroic. In the same way, although there's a powerful message about fighting against expectations, the book has a realistic approach to the consequences of choosing to fight back. The world is a harsh place, and things don't just fall into place in a fairy-tale way. Also, look how pretty the cover is! It's just a beautiful book, inside and out. I have the Winternight trilogy on my wishlist (I'm waiting for a paperback release of book 3). I'm glad you enjoyed the second book . Great reviews! I'm halfway through the first book and still waiting for the story to really take off, so I'm finding it a bit of a slog at the moment. I have read all 3 books of The Winternight Trilogy and enjoyed all of them. They received a 4/5 rating from me. 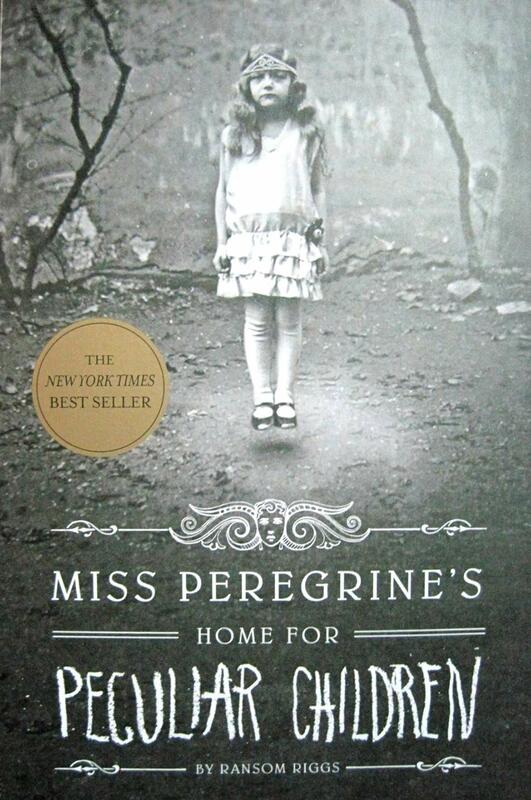 My only regret is that the Trilogy is finished, I would love to continue reading these books. Arden put a lot of work in her research for writing the books. Hayley, you have some really good reading to look forward to in book 3. I must admit I was disappointed in "The Bear....", the storey never really got going and if it wasn't for the fact that I'd also got the second book (cheap on the web!) I might have given up on it. I liked your review of Showboat World! You know, I can't remember the name of the blonde female character either! There is another Big Planet novel, but it is a completely different cast of characters in a different part of the world (because it is such a BIG planet). I bought the third book last week and I was going to save it for a while, but now you've made me really want to read it! It's a shame you didn't like it. You might enjoy the second one more though, it does have more of a sense of urgency and purpose than the first book. Thank you! I don't have the other Big Planet book but I'll keep a look out for it. Showboat World does give the impression that there's a lot more to explore about Big Planet (I love the guide book the captains keep, telling them about the different rules and customs of each area so they know how to adjust the shows and not cause offence). The only reason I'm not giving this 5 is because I like Fforde's Thursday Next and Nursery Crime books just a tiny bit more. This is still a fantastic book. Essentially it's set in an alternative world (well, an alternative Wales, specifically) where the winters are much harsher and most humans hibernate until spring in specially designed dormitories. Hibernation has its dangers though and not everyone survives. A drug exists that hugely improves your chances of survival, but not everyone is entitled to it, a few are immune to it, and the drug itself can have some pretty dramatic consequences. We see this crazy new world from the perspective of a man who's just started a new job with the winter consul (who basically stay awake during the winter to make sure the hibernating humans are safe) and they have a new problem, a viral dream. As ever with Fforde though, there's so much more than that. There are secret societies, obsessive stamp-collecting villains and creatures of folklore that seem too real for comfort. It's a brilliantly mad adventure with the perfect balance of humour and emotion and I fully recommend it. Although I'd only heard good things about this book, when I first started it I was expecting it to be a potentially slightly cliched metaphor for the second world war. Jacob's grandfather, the only member of his Jewish family to escape from Nazi Germany, tells tales of a home full of peculiar children and the monsters who are out to get them. When his grandfather dies, Jacob struggles to come to terms with the fantastical stories his grandfather told him and the mysterious final message that he left. I honestly suspected that this would be the kind of book where Jacob would wake up from a dream of monsters and the children who escaped with a better understanding of his Grandfather's past and the atrocities of the war. That probably would even have worked, but in actual fact it's nothing like that. It's much better. It's sort of part adventure, part fantasy, part horror, part time travel. The world it creates is exciting, fun and creepy in equal measure. Even without the quirky photographs that are included throughout the book, it's unique. I do wish I had known at the beginning that the photographs were all original, because I had been assuming they were (at least mostly) staged for the book, and I think I would have appreciated them more if I knew they were actually vintage images. Overall though, a fascinating concept with a great variety of characters and I'll definitely be looking out for the next book (since I realised it's actually the first in a series). but Solovey! I'm heartbroken. Konstantin better be getting some serious comeuppance in this book! And it just keeps getting better. A great book. Don't forget to keep reading after the books ends. 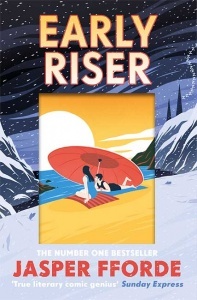 Early Riser by Fforde sounds good. I am going to check out our library to see if they have the kindle book of it. Edit: I checked out our library and they don't have Early Riser in yet. I put in a request for them to purchase the kindle version so now I will have to wait for it. I’ll read every last bit, I don’t want it to end! 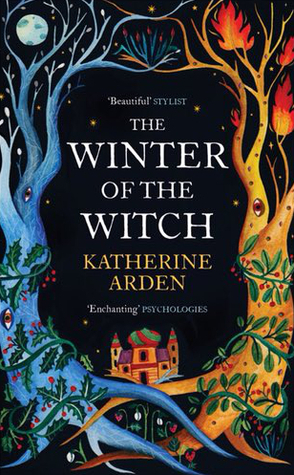 I finished The Winter of the Witch and it was brilliant. I'm genuinely sad that the trilogy is over and there's no more to read. It's impressive that those characters, who've developed so individually throughout the three books, were real people and really participated in the battle. But also… Solovey!!! I was choked up from the moment Morozko said "you still owe me a life." I am glad that you enjoyed the Trilogy as much as I did. Book 3 was just a great, great read. I am so impressed at the work that Arden must have put into writing the Trilogy. The storyline was excellent. Some copies of this title belong to specific member libraries, and their users are given priority for holds on those copies. For this reason, users may jump forward or move backward on the wait list, so we can't accurately estimate wait time. @muggle not I did look for Where the Crawdad's Sing when I was in Waterstones but they didn't have it. I don't know whether that's because it had sold out but it's obviously popular! I know I've already said how much I loved this book so I'll only do a really short review but, once again, it was such a great book. I really like anything to do with folklore and old fairy tales, so the whole concept of these books immediately appealed to me. The characters are all great, a whole cast of very memorable personalities. The settings are beautiful, unique and easy to get lost in. As the final book in the trilogy, I thought it was the perfect ending, tying together various ends from the previous books and displaying all the important messages of the story. I don't want to say what those messages are in case it gives an idea of the ending, but lets just say they're as relevant and important to our own time as in the historical and magical world of the Winternight trilogy. Leaving reality aside though, this is also one of those brilliantly magical worlds that you really wish was actually real, a world that stays with you after you've finished reading. But, with that short review, I'm actually up to date with my reading log! I've started reading The Corset by Laura Purcell and, although I'm not that far into it yet, I think it's going to be good! Excellent review on Winter of the Witch.